Admiral Laxminarayan Ramdas said no amount of force as part of the avowedly ‘muscular’ Kashmir policy can quell the anger that Kashmiri youth are experiencing. Former Navy Chief Admiral Laxminarayan Ramdas has written to President Ram Nath Kovind in the aftermath of the suicide attack in Jammu and Kashmir’s Pulwama district that killed at least 40 Indian security personnel. Pakistan-based extremist group Jaish-e-Mohammed claimed responsibility for the attack. In a letter dated February 20, Ramdas said the guilty must be punished for the despicable act. He, however, questioned how such an attack took place on a strategic highway, “especially in view of some reports that speak of there having been some intelligence reports”. 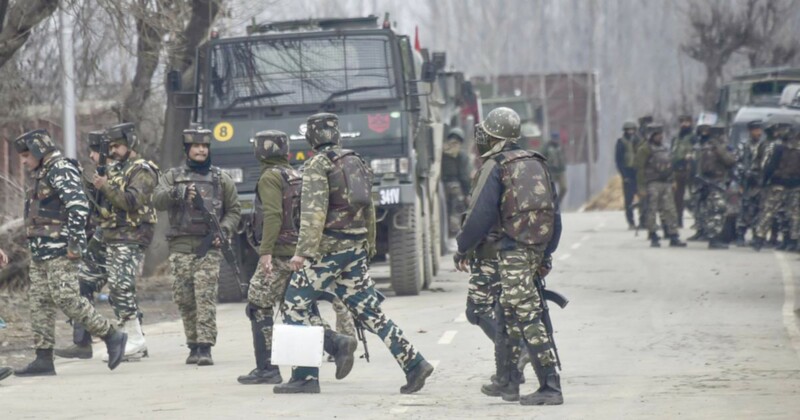 Days after the attack, media reports suggested that an advisory was issued to the Central Reserve Police Force in the Valley, warning them of possible use of improvised explosive devices by militants. Ramdas said the Kashmir problem must be resolved through dialogue between India, Pakistan and the people of the state of Jammu and Kashmir. “We must act now and sit across the table and have an honest dialogue with all parties concerned,” he wrote. “It might already be too late.” He also condemned the harassment and attacks on Kashmiris across states. “Soon this might spill over to Muslims across India. We cannot allow this to continue and spread with dire consequences which are hard to assess,” he said. He also urged that there should be a stop to the “terrible media war” being waged on innocent Kashmiris. He said urgent action must be taken to prevent aggravating the situation of fear and insecurity. This is Admiral Ramdas – former Chief of the Naval Staff, writing to you yet again this time on the tragic deaths of Central Reserve Police Force (CRPF) Jawans in the IED attack on their convoy in Pulwama on Feb 14th 2019 and subsequent events. Over forty precious lives, belonging to the CRPF were lost in the service of the Nation on Feb 14, 2019. This was indeed a despicable act, and a tragic event, and those guilty must be punished. As a former head of the Navy and Chairman of the Chiefs of Staff Committee, and also someone who, after retirement in 1993 has devoted most of his time in the pursuit of peace with Pakistan by pushing for a people to people dialogue, my concerns, are listed below. 1. We must resolve the Kashmir problem through dialogue which must involve all three partners to the dispute namely, the people of J&K, India and Pakistan. This is a position I have advocated for several decades now after having studied the intractable nature of what is popularly called the K word, but which has continued to extract a heavy toll on both countries and above all on the suffering of the unfortunate people of Jammu and Kashmir. We continue to proclaim that they are an integral part of India. If indeed that is so, then they must be treated as such, as equal citizens – be they in Jammu, the Valley or in Ladakh. Had we done that we would have been less likely to see the levels of alienation, especially of young people? 2. If both countries are willing to engage each other on the Kartarpora corridor then why not on the LOC, and other core concerns around Jammu and Kashmir (J&K). The sooner we make it known that we are open to dialogue with all stakeholders and begin this process in all seriousness and sincerity, the more likely we are to make some headway with the people in J&K. 3. If a young Adil can blow himself up in the cause of freedom, Aazadi or the long promised autonomy for Kashmir, it is the strongest indicator yet of the levels of anger and alienation that the youth of the state are experiencing today. No amount of force as part of the avowedly “muscular” Kashmir policy can quell this. We must act now and sit across the table and have an honest dialogue with all parties concerned. It might already be too late. 4. The most serious fallout of this attack on our jawans in Awantipora has been the unprecedented outbreak of harassment, mob violence, attacks, insults and abuse levelled at many Kashmiris across the country. Soon this might spill over to Muslims across India. We CANNOT allow this to continue and spread with dire consequences which are hard to assess. 5.The only solution is political and not military. And a political solution must involve a genuine and continuous dialogue with the people of Kashmir including dissidents and separatists; the Govt of Pakistan and the Govt of India. a. It is imperative that the situation should not be allowed to escalate into greater hostilities which it might not always be possible to contain. As the Supreme Commander, you must caution our own leaders about the very real dangers of the present standoff escalating into a war situation and quickly going beyond a conventional engagement given that both India and Pakistan are two nuclear armed countries. b. The decisions on next steps must be taken with due diligence, and weighing all the options and their implications. We cannot allow the hysterical media anchors and social media anger to influence or pressurise decisions at the highest level. The atmosphere at present is by no means conducive to decisions being taken in a calm and considered manner with emotions and reactions being inflamed and incited in an often deliberate and irresponsible manner. c. Let India take the high moral ground by declaring an unconditional Hold Fire pending detailed enquiries into the attack on the convoy in Pulwama . This way we will ensure that the facts are investigated, and the truth behind the attack be established without delay. I am sure that this will have a salutary effect and ensure seamless actions further ahead. d. We must immediately put a halt to the terrible media war being waged on innocent Kashmiris who are going about their business quietly in towns and cities across the country. This message must come from the highest level and the Honorable Prime Minister must be advised that he can halt this current backlash in minutes if he so chooses, by issuing stern and clear warnings against any violence and threats and harassment against citizens be they Kashmiri or indeed Muslim citizens, through every channel, cadre and social media. To avoid aggravating the present situation of fear and insecurity and preventing further bloodshed, action on this must be taken with utmost speed. e.Enable an impartial and independent Judicial Enquiry. This group should comprise serving judges of the Supreme Court. The Nation as a whole seems to be going through a lot of uncertainties especially about the threats of retaliation. Such posturing, especially between two nuclear armed states, is highly risky. This time around we may not be able to contain this to the conventional type of warfare. The situation is even more delicate given the impending elections, communal disturbances and fears of breakdown of law and order. We must not allow any of the above to happen. We have a lot of strategic and human interests in (J&K) and the country as a whole and we must protect both these. This can only happen by winning the hearts and minds of the people, especially of Jammu & Kashmir. Let us remember that Military Force can never erase an “IDEA”. We need to do some serious reflection of our own policies and conduct these past 70 years.